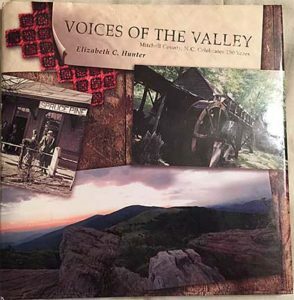 The Mitchell County Historical Society offers a variety of books written about Mitchell County and the Toe River Valley region. Whether you are a genealogist, historian, or just someone who would like to learn more about the region, we have selections geared just for you. Our books also make great gifts! Choose from our selection for a birthday, Christmas, anniversary, or”just because” for that special someone. All purchases made through our store benefit the Historical Society and its mission of preserving the history and heritage of Mitchell County. To purchase, just choose from the Add to Cart button below each item. Shipping will be added to the purchase price. We use PayPal for our online payment processing. You do not have to have a PayPal account to make a purchase from us. The region that is now Altapass was settled in the last third of the 18th century by restless and brave souls of Scot-Irish descent. The most colorful and prolific of these was Charlie McKinney, a man set upon making a life for himself, his 4 wives, and his 48 children in the Appalachian wilderness. His children intermarried with many families, including the Davenports, Biddixes, Halls, and Wisemans, to establish a community that has survived and thrived in this rugged paradise. 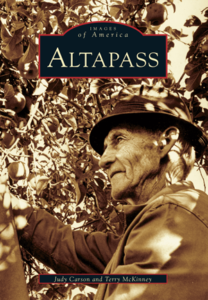 Change has often come to the community in sudden bursts, including the arrival of the railroad a century ago, which gave the community its life, name, and most enduring institution, the Orchard at Altapass. Mountains, streams, and strong families are the characteristics of Bakersville and the small towns that surround it in northern Mitchell County. For much of human history, people lived in small, rural trade centers where they knew everyone and helped each other, and families were the most important part of life. Bakersville was no exception. Fast-forward to the 21st century, and such places have faded from view. There may be an empty store, post office, or school, but there is little else in evidence of the vitality and lives of earlier citizens. Kona, Clarissa, Hawk, Tipton Hill, Buladean, Ledger, Bandana, and others had few economic opportunities left. Tobacco farming dissolved, factories moved abroad, mines closed, and most of the World War II generation and its descendants left for the military, college, and greener pastures. With smaller populations, all those public places were consolidated with others. It is those who settled and remained that are honored here. This is the place. As Heriot Clarkson sat on his mule atop Grassy Mountain in June 1909, he looked out over a sea of mountains extending to the horizon in every direction, his dreams before him. Here was the spot for a retreat from the summer heat of the piedmont and coastal plain where simple living and nature’s beauty would combine to create an idyllic community. But the story doesn’t begin there. Hardy Scotch-Irish settlers moved into these same mountains some two centuries earlier, admiring the same views and putting down permanent roots. Images of America: Little Switzerland documents the unique interactions between native and summer residents in working together to build this remarkable community. 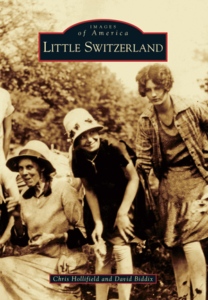 The social, economic, historical, and spiritual fabric that makes Little Switzerland unique among resort communities is presented, along with the personalities and places that provide its character. Nestled in the mountains of western North Carolina, Mitchell County was created in 1861 and was named for Dr. Elisha Mitchell, a University of North Carolina professor who died in 1857 while remeasuring the mountain that now bears his name. Although the appropriately named mountain lies in adjacent Yancey County, Mitchell County has no shortage of claims to fame; it is well known for the Clinchfield Railroad, the Carolina Theater, the Blue Ridge Parkway, the Penland School, and the infamous Frankie and Charlie Silver murder case. There is also much more to Mitchell County than its best-known sites and figures. Mica and feldspar mining, the orchard at Altapass, churches, the Wing Academy, Bakersville, and Spruce Pine all have their own unique histories. Within the pages of this book are images of the famous and the ordinary, the routine and the remarkable, the lasting and the transitory. The photographs come from all over Mitchell County and celebrate the area’s unique Appalachian culture. The highest peak in the eastern United States, Mount Mitchell towers 6,684 feet over its home in Yancey County, North Carolina. It has borne silent witness to great scientific and personal achievements, tragic loss of life, heated debates, and a host of controversies both great and small. Once considered forbidding and remote, it claimed the life of its namesake, Elisha Mitchell, when he fell to his death in an attempt to firmly establish the mountain’s height. In the early 1900s, entrepreneurs constructed a railroad, opening its old-growth forests to massive deforestation. This devastation stirred some of the earliest notions of environmentalism that led to Mount Mitchell’s establishment as North Carolina’s first state park. Today, it is a playground for tourists from around the world, offering some of the best hiking and views in the nation. 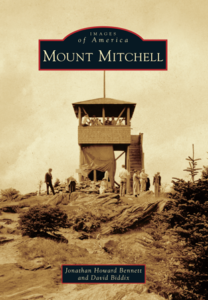 Mount Mitchell showcases the rich history of the mountain along with the events and colorful characters that have shaped its story. Deep in the heart of the southern Appalachian Mountains lies Roan Mountain, the second-highest peak east of the Mississippi and home to one of the most breathtaking, naturally recurring phenomenon in the world: 600 acres of Catawba rhododendron that bloom each year in mid-June. In an effort to promote tourism and draw attention to this area, North Carolina and Tennessee joined together to form the Rhododendron Festival in 1946. 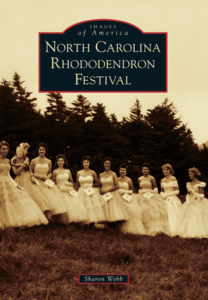 As attendance increased, it soon became necessary for each state to hold a separate festival, and in 1952, the first North Carolina Rhododendron Festival took place. Since then, Bakersville, a village nestled at the base of Roan Mountain, has hosted the North Carolina Rhododendron Festival. Visitors and locals gather to pay homage to one of nature’s most magnificent wonders. After nearly seven decades, the festival continues to hold the distinction of being among the oldest and most respected festivals in the Southeast, confirming its potential to endure as long as the mountain itself. Roan Mountain, a 6,286-foot-high peak, straddles the Tennessee and North Carolina state line in the Appalachian Mountains. Home to world-famous rhododendron gardens, the Appalachian Trail, the site of Gen. John T. Wilder’s historic Cloudland Hotel, and record-breaking lofty balds, thousands of visitors, including explorer John Muir and Vice Pres. Richard Nixon, have ascended Roan Mountain over the last two centuries. Biologists, botanists, and tourists have enjoyed its unique natural setting. At the mountain’s base and on its slopes, rural communities have endearing histories. Decades ago, the East Tennessee and Western North Carolina Railroad passed through the village at the foot of “the Roan.” The railroad brought wealthy passengers to the mountain-top Cloudland Hotel. It also allowed local industrialists the opportunity to export the area’s natural resources. 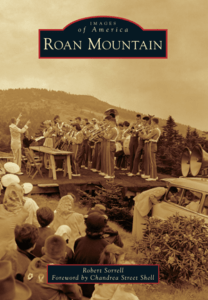 The people of Roan Mountain are proud of their history and have displayed it annually for more than a half-century during the Rhododendron Festival. 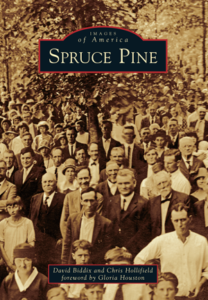 There is a little piece of Spruce Pine in almost every home and business in America. Known as the Mineral City, Spruce Pine is the hub of mining activity in the mineral-rich Toe River valley, which provides mica, feldspar, and ultra-pure quartz for computer chips and other electronic components. Images of America: Spruce Pine is the story of a town with two main streets that was started by the arrival of the railroad. 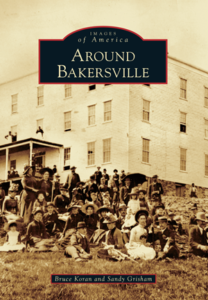 This volume includes the characters, events, tragedies, triumphs, and memories shared by town residents. From catastrophic fires, ravaging floods, and economic turmoil, to visits by U.S. presidents and the Carolina Barn Dance, it is all right here. The biggest meteor shower of the century filled the sky in the winter of 1833, and Yancey County came into being that December. It is a place of fierce independence, astounding natural beauty, and civic pride. Nestled amidst the Black Mountains, the county boasts 19 peaks above 6,000 feet, including Mount Mitchell, the tallest peak in the Eastern United States. Archaeological excavations trace human history in Yancey County as far back as the Paleo-Indian period, 9000 to 10,000 BC, based on regional dates. Families have flourished for many generations along the Cane and Toe Rivers in a mineral-rich land dotted with fresh springs and free-flowing creeks. 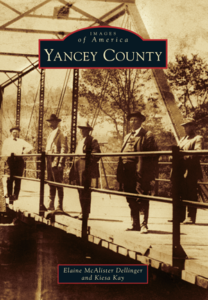 Named for statesman and orator Bartlett Yancey, the county is characterized by streets and areas with delightful names, such as Barking Dog, Bee Log, and Merry Bear Lane. The citizens are descended from ancestors who fought on both sides of the War between the States. Working the county’s land of plenty has given them ginseng, galax, tobacco, ramps, and a cornucopia of fine foods. Voices of the Valley has been a labor of love celebrating the 150th Anniversary of Mitchell County; its people, places, and stories. It was made it as close to home as possible with a local author, a graphic designer from Banner Elk, which was in Mitchell County 150 years ago, a group of local professional and amateur photographers, and a team of local researchers and editors who have gathered photographs from one end of the county to the other and spent countless hours matching stories with images. 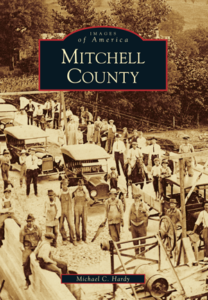 This coffee table-style book tells the story of Mitchell County in a personal manner. It is a history of the past 150 years, beginning at the start of the Civil War and leading to the present day, but is written to bring places, events and people alive for the reader, not just share the facts and figures. 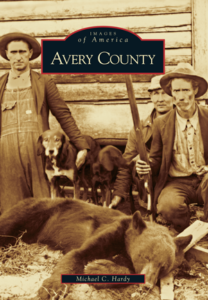 The Mitchell County Historical Society is featuring a special price for this book and proceeds go their preservation efforts of the history and heritage of this special county. 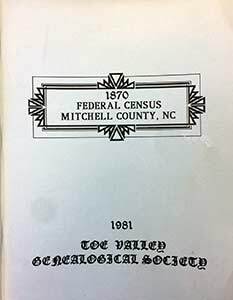 The Toe River Genealogical Society canvassed the 1870 U.S. Census and printed the information about Mitchell County. Useful to those interested in history and genealogy, the Census provides information on communities, households, and individuals in the County (which also includes a significant section of Avery County). The Toe River Genealogical Society canvassed the 1880 U.S. Census and printed the information about Mitchell County. 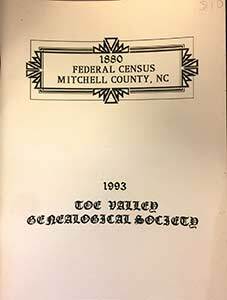 Useful to those interested in history and genealogy, the Census provides information on communities, households, and individuals in the County (which also includes a significant section of Avery County).